Top 20 Restaurants in Ballito Restaurants 2017. Beautiful beach town of Ballito – found in KZN’s Dolphin Coast – is about so much more than the stunning beaches and holiday atmosphere it provides, for it’s also a place rich in food culture and top restaurants, to suit every palate and dietary style. This Italian grill house focusses on cuts of grain-fed, matured meat, spectacular seafood and seasonal specials, which keep its guests coming back for more. Situated in the lovely Coco De Mer Boutique Hotel, Fiamma also offers a great wine and cocktail list to help wash down all the tasty food. The family-owned and operated restaurant dedicates special attention to quality, detail and freshness, even sourcing much of its produce from local markets. What started out as a dream between two friends – Ryan Stewart and Brett Michielin – has grown into a chain of several family restaurants, spread across both KZN and Gauteng. The restaurants offer traditional Portuguese cuisine, all based on the authentic Mozambique ‘Barraca’ (which means hut in English). They are rustic beachside eateries, with a menu that caters to all tastes. These restaurants all share their passion for food and cooking with you, allowing you to encounter Mozambique from SA. 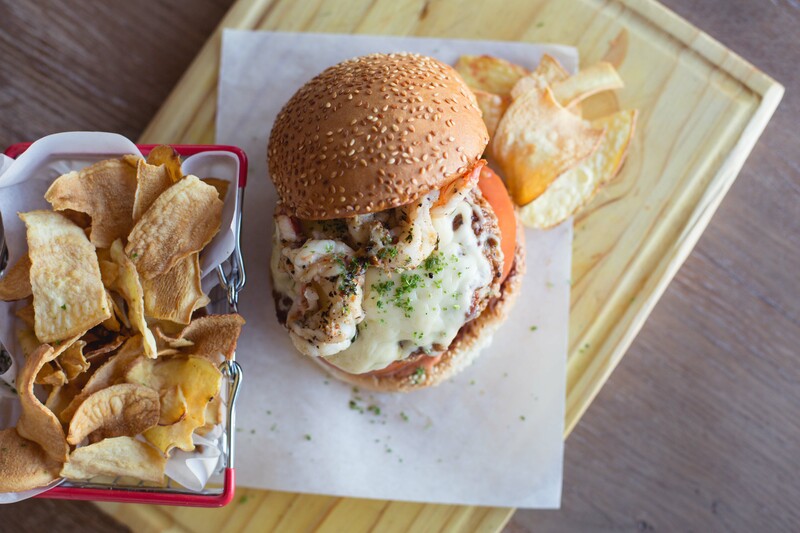 Eat Local Grill is a passionate local restaurant, which specialises in grilled food. They have a branch in both Ballito and Salt Rock. This restaurant provides great food, company and service, as they offer the likes of gourmet burgers and combos, salads, wood-fire pizzas, premium cuts, seafood and even pasta. 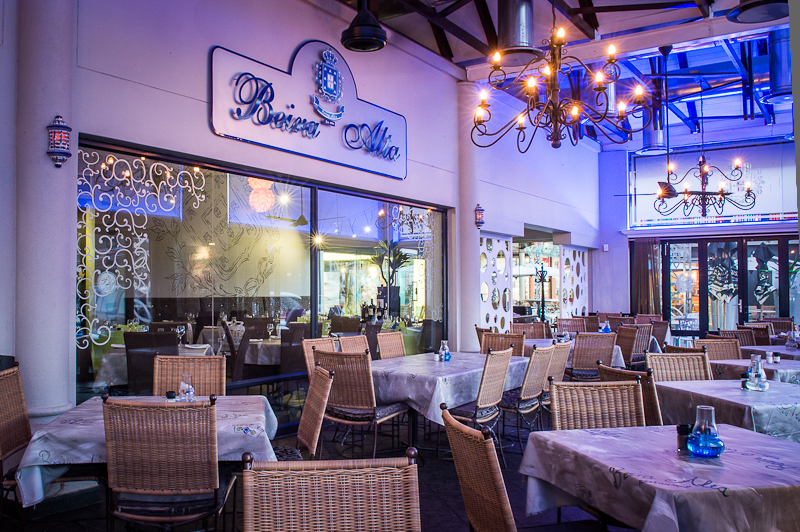 Situated in the heart of Ballito’s popular Lifestyle Shopping Centre, Beira Alta is a Portuguese restaurant, with an African influence. Named for a historic region in Portugal where royalty reigned, this restaurant serves a great selection of starters, soups, salads, meats, seafood vegetarian and of course, dessert. At this family-owned and run restaurant, they believe in a hands-on approach, and prepare their food using only the freshest ingredients, spices and herbs as they have a firm commitment to quality. The temptingly named Impulse By The Sea Curry Restaurant is an authentic and family-friendly Indian restaurant, which has been a family-run, long-standing institution for some 28 years. It offers magnificent sea views, a relaxed restaurant atmosphere and of course, traditional, flavourful Durban curries. Other offerings include Butter Chicken, masala-grilled fish or even prawn curry. Service is warm and welcoming, particularly from the dedicated owner. This Italian and seafood restaurant offers a unique food experience, with owner-designed specials every day for visitors to enjoy. It also offers breath-taking views of the warm Indian Ocean, fine food and delightful service. This buzzing Italian café and restaurant is well-known for its warm hospitality and delicious gourmet pizzas. Using only the freshest ingredients, Mamma G’s prides themselves on offering visitors a true Italian experience. The diverse menu caters to everyone, including kids, and includes a selection of pizza, salad or sandwiches, grill, poultry, veal or seafood offerings and more. This Italian beachfront restaurant, complete with a balcony, offers awesome Mediterranean food, wood-fire oven pizza, pasta, South African cuisine and even seafood. It is a continental eatery suitable for the whole family, and offers diners one of the best locations and sea views on the coastline. Set in Fairmont Zimbali Resort, Ayoba! Restaurant offers Central American flair and South African hospitality. The restaurant specialises in “a fiesta of Mexican flavours” and allows diners to choose from a selection of Mexican fare. Please bear in mind that reservations are recommended at Ayoba! This restaurant is big on family and invites everyone to come together and enjoy a delicious meal. Serving hearty Italian, including pastas and pizzas, it’s definitely a great spot for big eaters or simply those with a penchant for Italian cuisine… and who doesn’t love Italian food? Situated right next to the beach, this restaurant serves fresh, good food in a relaxed environment. They are open from Mondays to Saturdays to serve breakfast, lunch and dinner. With great options like breakfasts, light lunches, seafood, local delights (including oxtail), beverages and even toasted paninis – there’s something for everyone to tuck into at The Beach Hut! Thava Indian Restaurant is owned by Matthew Abraham, who hails from Kerala, a place of great food and rich mixed cultures and religions. 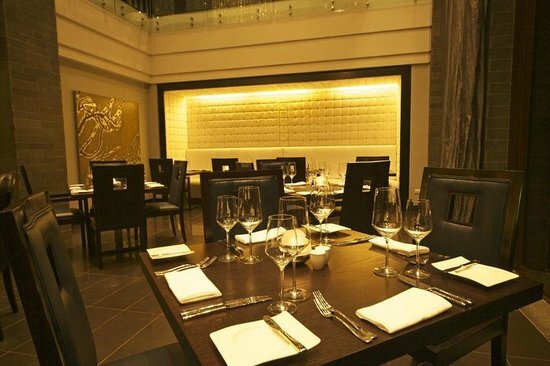 Thava specialises in Indian cuisine, priding itself on aromatic dishes, made using the freshest ingredients, and a unique Indian tapas offering. Meal options include an array of vegetarian, lamb, chicken and seafood, as well as curries, biryanis, stews, Tandoori and Masala too, all served with traditional breads, rice dishes and sides. With a long-standing background in the hotel industry, Sean Touskin, a classically trained chef, is no stranger to good food and since East Oasis’s opening, he has ensured a quality eatery. East Oasis is well-known for its American-style food, including smash burgers, ribs, pizzas, chicken wings, salads and seafood. The focus here is on keeping things quality, and offering flavourful, good food to delight palates of all kinds and tastes. 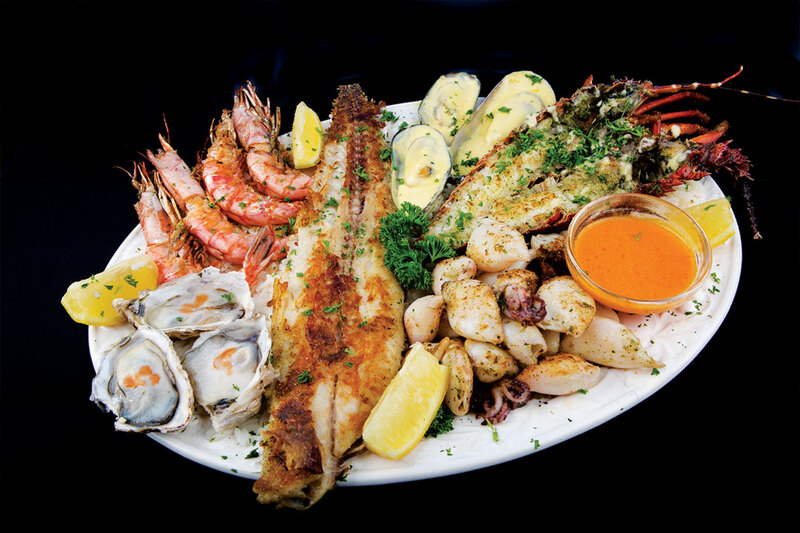 This laid-back seafood restaurant offers delicious ocean fare. They specialise in different types of fish and chips, scampi (queen prawns), calamari and more, offering food that is tasty, yet very affordable. Service is good and efficient, and the food definitely won’t let you down in a restaurant space that is in no way pretentious. Meaning “Welcome” in Punjabi, this North Indian restaurant is fast becoming known for its unusual, yet delicious flavours. It offers diners a true sense of India, and at Sawagat, they do things the traditional way, even using family recipes. With Naan bread, Indian cream cheese, paneer and more, there is fresh and flavourful food to be had here. Serving fragrant, flavourful fare from India, made from generational recipes, Osa is a wonderful Indian restaurant at the Fairmont Zimbali Resort. Recommended dishes include their signature Butter Chicken, traditional Thali and signature grills, which will have you drooling from the deliciousness. Please bear in mind that reservations at Osa are essential. Located in Ballito Lifestyle Centre, this trendy hot spot offers a fantastic, well-thought-out menu, true commitment to their guests’ enjoyment and an invitingly crisp, clean décor, which complements the beautiful beach town. With continental cuisines like Greek, Italian and South African, there are breakfasts, salads, speciality meals, pastries, breads and even aromatic coffees to be savoured at Zaras Café. This family-owned eatery – run by the experienced, culinary mother-and-daughter duo in Theresa and Gina Rattray – is located in the bustling Ballito Lifestyle Centre. It’s your go-to restaurant for fresh coffee, all-day Flapjack stacks, wonderful lunch specials and even sweet treats too. It’s a place for friends to gather, with friendly service and a warm, cosy atmosphere to complement the wholesome, uncomplicated, yet excellent fare. Founded some 40-odd years ago in 1971 by the loving Govender couple, SeaBelle Restaurant has consistently served locals and foreigners alike for many years, offering the same excellent food and service that has always made it such a find. Although it has undergone some renovation and is now run by the couple’s son, Tony, SeaBelle remains as popular as ever. Here, an Al Carte menu provides diners with a choice between the likes of: starters, seafood grills, curries (including their famous prawn curry), grills, combos, breyani, kiddies’ meals, platters, pizza, pasta and deserts, with all food made to order. This Chinese restaurant is best known for its sushi, which can be enjoyed as either sit-down or takeaway. It is a small, no frills family-owned gem, which offers decent food at affordable prices. Service is slightly limited, so many visitors prefer takeaway. These are just some of the top 20 restaurants, which you can feast at in beautiful Ballito and surrounds, if you visit (or are fortunate enough to reside in) this wonderful coastal region of KwaZulu-Natal during 2017. Previous Previous post: Top 20 Things to do in Ballito. Next Next post: Top 20 activities in Plettenberg Bay 2017.